Kindness, a universal value, is expressed in Jewish tradition as Chesed. The Chesed Committee has established a group to foster chesed within the Kol Shalom community by providing services, support and social connections to our congregants. We welcome your help and time with this important project. If you would like more information about becoming a volunteer please email Helen Goren at hkgoren@gmail.com or call 410-224-4547. 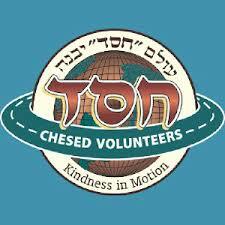 If you would like to volunteer please complete our Chesed Volunteer Form and return it to the synagogue office. -If you would like to volunteer to provide transportation please email Chris Erlewine at Cerlewine47@gmail.com or call 301-755-7017. -If you would like to volunteer to make phone calls or visits please email Cindy Weiner at cswhome11@gmail.com or call 301-249-2707.